GMT Happy New Year to all our viewers. The festive period has been quite quiet here at Greenheyes and today the muckspreading has seen the milestone field finished I think the Rancho will be next while it is dry and frosty. Talking of the weather we had 58mm of rain for the month of December and what is also amusing is that from just before Christmas we have had frost and snow with a lowest temperature of -7c this makes about 9 days frost so far and other parts of the UK under about 25cm of snow. I suggest you read my NOVEMBER weather comments. Christmas officially ended with 12th night and after that we got a covering of 4″ of snow they say 1″snow = 1/4″ of rain therefore we have equal to 1″ of rain waiting to wet everywhere once it thaws. 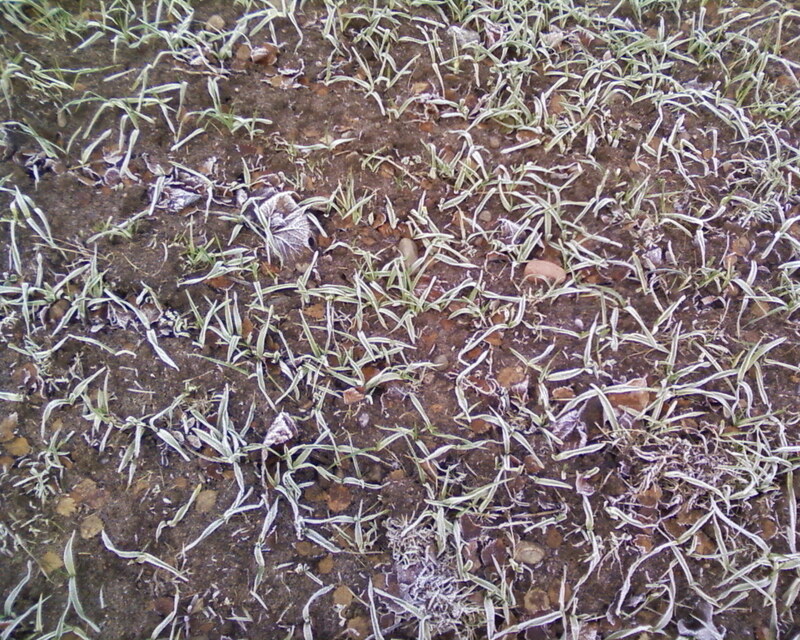 Certainly not straight away as it was already starting to freeze. The ten heifers who have been roaming the farm were waiting at the top of the cow drive and didn’t protest too much when we put them in a shed for the rest of the winter and the bale of hay we threw to them seemed very welcome. As I write the “children” with friends have just returned from sledging. I remember when they would walk down but now they take the landrover. I’m sure it will all appear on Sarah’s facebook More soon 6/1/10 was the coldest since the early 90′s at 8.30 am it was -14c but I think it went down to about -17c at the coldest point. We were frozen up everywhere except the farmhouse and the frozen water residues in the milking parlour took until 10.30 am to de-frost when milking could finally start. I’d better be less complacent with tonight’s drain down!! The cows and heifers have water in their tanks for today but tomorrow I’ll have to start carting to them. 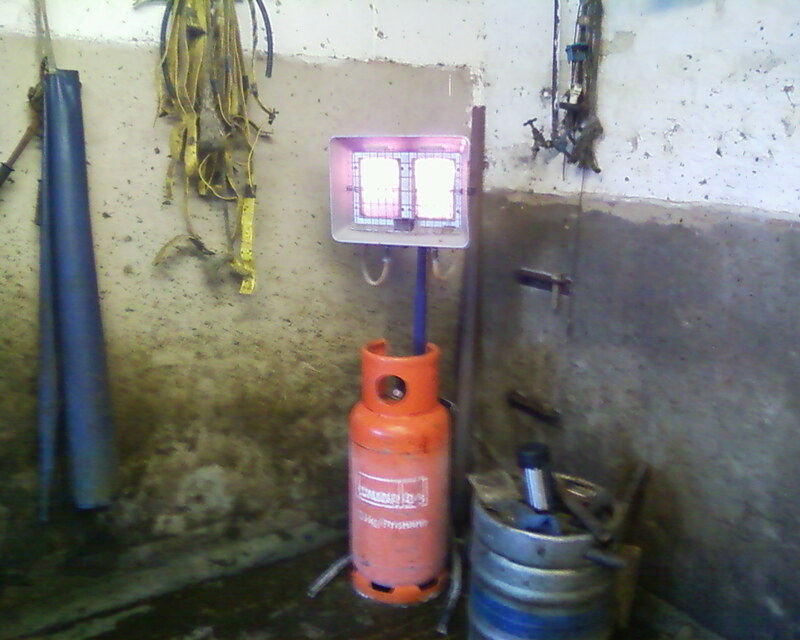 Slightly less cold at -8c and having CAREFULLY used a blowtorch (many fires have been started that way) I now have a working tap in the milking parlour ( nothing in the dairy yet !). The big heifers are drinking about 40 gallons/day all carted to them with my milk churn and truck. Unless we get another night of intense cold ( more than -10 ) I think the taps should stay flowing. I’m sure the climate experts a few years ago were predicting that cold winters were a thing of the past and that skiing in such as Scotland would end by the year 2020 due to lack of snow ahh well only another 10 years to wait for that one then I woke up to heavy rain on the 15th and this had melted nearly all the lying snow however the ground hasn’t thawed yet and the fields are still hard enough to carry the landrover so tomorrow I aim to pull up the remaining electric fences now all the heifers are inside. Most things are defrosted but the water trough on the cubical yard still has a piece of ice about 10cm thick floating on it. Last night was we helped with the RABI charity quiz and although some teams weren’t able to attend due to still being snowed in ( Macclesfield being a good example) we still were able to raise £300 for the charity. Alan our combine driver/hay baler/ godfather to Sarah was in the winning team. Nice to see he still hasn’t lost his touch for useless information as being a master at the young farmers junior quiz albeit 30 years ago. On top of this he won the star raffle prize of a picnic hamper full of goodies kindly provided by Andrew from Claremount farm ( see him at www.claremontfarm.co.uk ). To top this both his twin sisters won in the raffle. More soon PHIL.